Sri Lanka did the unthinkable with a historic Test series victory over the formidable South Africans a week ago. It wasn't just the result that surprised many, but the manner in which they achieved the series win. The Sri Lankans were incisive with the ball, their pacers often troubling the Proteas. They were also propelled into the limelight by a once-in-a-lifetime innings from Kusal Perera. With momentum on their side, the Sri Lankans now begin their World Cup preparations as they face South Africa in the first of five ODIs, set to be held at the Wanderers. South Africa have made a couple of changes to their side in their quest to set things right as they look to exact revenge against an upbeat Sri Lankan side. Lasith Malinga, Avishka Fernando, Upul Tharanga, Oshada Fernando, Dhananjaya De Silva, Angelo Perera, Priyamal Perera, Thisara Perera, Kusal Mendis, Kusal Perera, Niroshan Dickwella, Isuru Udana, Akila Dhananjaya, Kamindu Mendis, Vishwa Fernando, Kasun Rajitha and Lakshan Sandakan. With Hashim Amla left out of the squad, Quinton de Kock should open the batting alongside the in-form, Reeza Hendricks. Faf du Plessis and Rassie van der Dussen are certain to play in the top order while Willem Mulder, Andile Phehlukwayo and Dwaine Pretorius will compete for two spots. Andile Phehlukwayo has been sensational for the Dolphins in the Momentum One Day Cup 2019 and should get the nod. The bowling unit is back to full strength with the inclusion of Lungi Ngidi alongside Steyn, Rabada and Tahir. Possible XI: De Kock(WK), Hendricks, Dussen, Faf(C), Miller, Phehlukwayo, Mulder/Pretorius, Steyn, Rabada, Tahir and Ngidi. A couple of new faces have been added to the side, led by Lasith Malinga. The likes of Kusal Perera, Kusal Mendis and Niroshan Dickwella are set to bore the majority of the batting responsibility as they seek to emulate their Test exploits in the shorter format. Upul Tharanga should open the batting with Dickwella while one of Oshada Fernando or Angelo Perera is set to make an appearance. Vishwa Fernando and Isuru Udana will partner Malinga in the bowling department with Sandakan taking care of the spin duties. Possible XI: Dhananjaya, Dickwella(WK), Tharanga, Mendis, Kusal Perera, Angelo Perera/ Oshada Fernando, Thisara Perera, Malinga(C), Udana, Vishwa Fernando and Sandakan. Wicket-keeper: With both wicket-keepers batting at the top of the order for their respective teams, it should be the South African, Quinton de Kock, you pick in the fantasy team considering his exemplary form in the recently concluded Test series. Dickwella hasn't been able to get himself accustomed to the conditions in South Africa yet and could struggle against Ngidi and Steyn. Batsmen: Rassie van der Dussen and Kusal Perera are must have players in the side, owing to their brilliant form. One of Faf du Plessis or Reeza Hendricks could complement the aforementioned duo while Kusal Mendis is also a viable option to have in the side with his ability to maneuver the spinners and medium pacers in the middle overs. All-rounders: Thisara Perera and Andile Phehlukwayo are the safest picks for your fantasy team with both of them able finishers with both bat and ball. Phehlukwayo's recent performances for the Dolphins have been brilliant and that should hold him in good stead as far as the fantasy contest is concerned. Bowlers: Kagiso Rabada and Lasith Malinga are the lynchpins of their respective sides in the bowling department and are sure to pick a wicket or two. 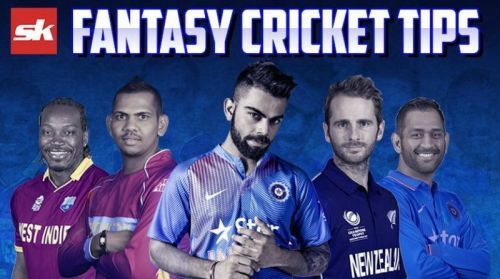 Along with Rabada and Malinga, the likes of Ngidi, Tahir and Fernando are also handy options to have in the fantasy team. Captain: Quinton de Kock hasn't been at his best in ODIs and is due a big knock. He should be backed to score some runs against the Sri Lankans while Rassie van der Dussen and Kusal Mendis are also decent options to pick as captain.